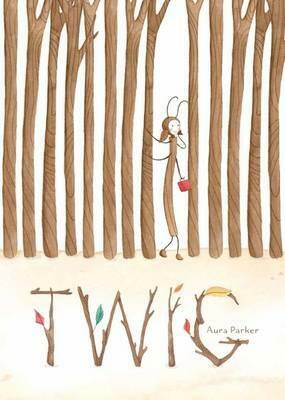 Welcome to the first picture book written and illustrated by Aura Parker. Parker has woven words and pictures together to create a story about new beginnings, acceptance and friendship. I love how Parker uses words together like '…a sprinkle of dirt' and how the detailed illustrations add to the text. Twig highlights feelings of excitement, loneliness, acceptance, joy and confidence. This book will be a great addition to reading lists about the first day of school. Heidi is a stick insect, tall and thin like a hat stand. On Heidi’s first day of school she finds it hard to be noticed--'It seems your camouflage has been working too well!' Heidi’s teacher, Miss Orb, devises a solution to help Heidi to be easily seen. The other children quickly realise what a wonderful friend Heidi can be. Twig uses all the available book pages to tell the story. The endpapers, half title and title pages introduce Heidi’s family travelling through the forest to their new home. Bugs are hidden on the endpapers for the readers to find and count. Insect lovers will enjoy seeing how many bugs they can identify. I was pleased to find my favourite insect was one of the story’s main characters, Scarlett, the ladybug. Twig is a book that needs to be revisited often as the pages are abuzz with intricate drawings. I spent time just dipping into the book to gaze at the illustrations to discover more. Click to read Aura Parker’s One Word and Meet the Illustrator interviews.